now been resolved. The hottest new item to announce is the "Savage Demos"
Andy Gray up to the latest Dusky & Titan tunes. fo the best cd/dvd's in ages! Tour Section of the site. produced tour documentary from the tour of the states that year. give us a shout on the contact page. This is a not for profit website interested in all things Numan. 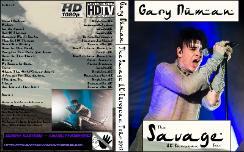 100% UNAUTHORISED - 100% GARY NUMAN! package from the same Year, all 4 that are now available are in DVD area. 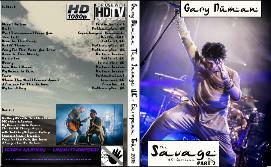 Live Album from Cardiff & Savage UK/European Live DVD with bonus interviews. Also added to the CD section is the new Savage Extended versions. latest Promo videos for the sin gles "My Name is Ruin & The End of Things".